Staff at Bowen Collins & Associates are proud to show support this year for the Susan G. Komen 2017 Race for the Cure. Many of us here at BC&A have felt the negative impact of breast cancer on our lives by witnessing relatives and friends struggle through diagnosis and treatment. We have witnessed it first-hand. Recently, it has hit us very close to home. 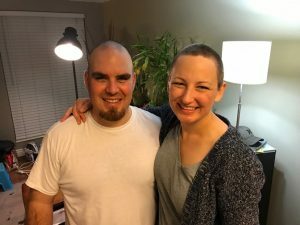 Our good friend, Laurie DeKorver is currently fighting the good fight. 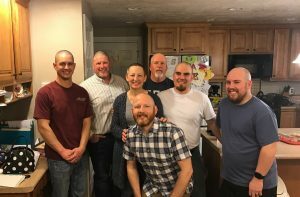 To show our support, some of our staff have shaved their heads and committed to furthering the fundraising efforts started by Laurie and Chris DeKorver. 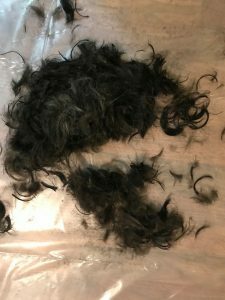 Check out pics of the hair removal process below, and if you are interested in contributing to cancer research efforts in some way, consider joining Laurie’s team by racing with her team or donating money at the link below. Go get ’em, Laurie! Works with administrative staff and project managers to format and organize critical submittals and client deliverables including: proposals, statements of qualification, technical memos and reports, and technical specifications. Attend key submittal kick-off coordination meetings, and provide general word processing and formatting of texts listed above. 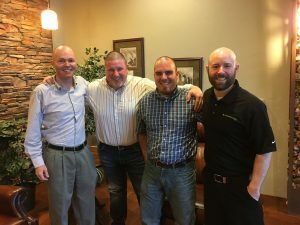 This is a part-time position working from our Draper, Utah office. Candidate must have the ability to work 15-20 hours per week, Monday through Friday, year round. See above link for complete PDF of the guidebook.